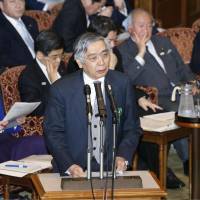 Bank of Japan Gov. 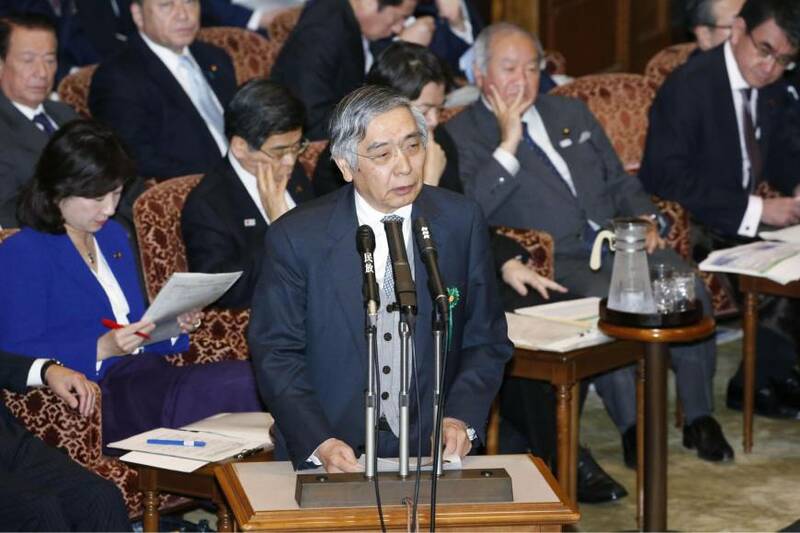 Haruhiko Kuroda urged operators of virtual-currency exchanges to enhance security in the wake of last week’s massive cryptocurrency theft. “Providers of cryptocurrency services need to explain risks to investors proactively and take sufficient security steps,” Kuroda told the Diet Wednesday after Tokyo-based exchange Coincheck Inc. lost about ¥58 billion ($532 million) in NEM coins to hackers. The Financial Services Agency has issued a business improvement order to Coincheck for not having proper safeguards in place to prevent what has become the largest loss of cryptocurrency through a security breach. Police have been looking into the case. The popularity of bitcoin and other digital currencies has raised hopes their use would expand, but it has also prompted debate overseas about how to regulate them. Cryptocurrency exchanges operating within the country are required by law to register with the government. The FSA is now considering adopting a tougher screening process before virtual-currency exchanges can be registered, according to sources with knowledge of the matter. Under consideration is the imposition of stricter checks on risk management, such as whether proper systems are in place to protect customer assets. Coincheck has revealed its NEM accounts are managed on a system accessible via the internet, though the FSA urges exchanges to keep virtual currencies offline as much as possible in its guidelines. There are 16 registered exchanges and another 16 pending approval, the latter including Coincheck, the FSA said. The watchdog is aiming to beef up protection via the measure, even as some in the government have reservations about discouraging firms from entering what is seen as an innovative and promising field.